Accused of Burglary in the San Francisco Bay Area? 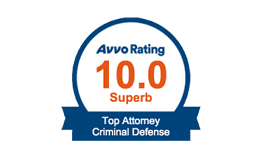 Firm rated A+ with the BBB and 10/10 Superb on Avvo. Burglary is a legal term that is sometimes misunderstood. The popular image of the “burglar” is someone wearing dark clothing carrying a money bag or stolen property. But while theft and burglary are closely related, they are not the same thing. In fact, there are many cases where burglary does not involve theft at all. Also much of what we see as burglary cases involve retail crimes of “commercial burglary” by people wandering through a store. If you or someone you know has been accused of burglary in the San Francisco Bay Area, The Law Office of James Dunn offers a free consultation to explore your defense options. 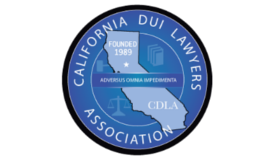 Under California law, when burglary occurs in an “inhabited dwelling,” such as a private residence, an occupied houseboat, or even a hotel room, it is classified as burglary of the first degree under Section 460 of the Penal Code. Otherwise, it is considered to be burglary of the second degree. A dwelling is considered “inhabited” if people normally live there. They do not have to be present at the time of the alleged burglary. An abandoned property is not inhabited, unless the owners left due to a natural disaster. So rummaging through someone’s house after a hurricane would still be considered burglary of the first degree. Now that we have discussed the basic concept of burglary, we will discuss the context that we see most often at our office. Commercial Burglary cases mainly occur in stores and they appear much like petty theft or grand theft shoplifting cases occur. If it can be proven that a person taking an item from the store had criminal intent at the time they walked in (or before) which led to the crime, then a defendant might face a conviction for commercial burglary. This is a complicated concept, so when you meet with your burglary defense attorney, please ask us to explain the concept of criminal intent. Since prosecutors and juries are not mind readers, the best way to prove intent short of a confession is when the defendant had walked into the store with a “tool” or instrument that helps commit the crime. This is why people accused of commercial burglary can also be charged with “Burglary Tools” charges. Examples of tools which might trigger a commercial burglary case in San Mateo and Santa Clara counties are box cutters for cutting tags and demagnetizing tools to help loosen sensors as well as anything that is remotely helpful: nail clippers, scissors, and magnets. If a witness sees or camera captures the cutting and undoing of tags and sensors, this could be used as additional evidence. Contradicting evidence such as showing these items had a legal purpose and were not actually used could provide a good defense to commercial burglary cases. There is a shift in the way that people use bags at stores that has affected the treatment of some commercial burglary cases. Whereas before it would have been rare to bring you own bag to a store, and thus highly unusual to have unpaid-for items in bags, now it is more common due to bag reuse. In the past it was not uncommon to see a commercial burglary case arise out of placing unpaid items in your own bag that you walked in with. Now that people bring their own bags, we have seen very few or no cases involving commercial burglary where the bag is considered a burglary tool. In California, Is Burglary the Same Thing as Shoplifting? Shoplifting is actually defined as a separate offense in Section 459.5 of the Penal Code. Like burglary, shoplifting does involve entering a property–in this case a “commercial establishment–with the intent to commit theft. But if the entry occurs during the store’s regular business hours, and the item “that is taken or intended to be taken” is not worth more than $950, the prosecutors must charge the offense as shoplifting rather than burglary or theft. How Can the Prosecution Prove “Intent” to Commit Burglary? Simply entering private property without permission is trespassing. What distinguishes burglary from trespassing is the “intent” to commit another crime once you enter the property. The intent must be formed before or at the time that you enter the property and not after. If you only form the intent once you are inside the relevant structure (a house, a store), it is not legally burglary, although you could still be guilty of another offense, such as theft or trespassing. Consider this hypothetical scenario: The defendant is invited into a co-worker’s office for a business meeting. The co-worker excuses himself for a moment. While he is gone, the defendant sees a gold watch on the co-worker’s desk and decides to take it right then and there. This is not burglary, since the defendant did not form the intent to take the jewelry until after he was already (lawfully) in the office. Of course, as noted above, the defendant can still be charged with theft. Now let’s modify the scenario slightly. The defendant sees the gold watch but the co-worker returns before the defendant has a chance to act. An hour later, the co-worker leaves the office to go to lunch. The defendant then re-enters the co-worker’s office and takes the watch. This is burglary, since the defendant formed his intent before entering the office a second time without permission. But what if the co-worker took the watch with him to lunch and the defendant walked into an empty desk? This is still burglary. Whether the defendant actually completes his theft or felony is irrelevant. What matters is that he formed the intent do so and acted upon it. It is also not necessary for the defendant to complete entry. For instance, if the defendant took one step into the co-worker’s office before his boss stopped him, that would still constitute an “entry” for purposes of proving a burglary charge. Something else to keep in mind: Burglary does not require “breaking and entering.” Even if the structure or room is not locked, such as the hypothetical co-worker’s office, it is still burglary if you enter with the intent to steal or commit a felony. The exception to this rule is a burglary involving a car or motor vehicle. California law only considers it burglary if the vehicle is locked. What Are the Consequences of a Burglary Conviction in the San Francisco Bay Area? Burglary of the second degree–that is, all burglaries that do not involve an inhabited dwelling–can be charged as either a felony or a misdemeanor depending on the circumstances and the prosecutor’s discretion. This is known as a “wobbler” in California criminal law. A misdemeanor burglary conviction carries a maximum possible sentence of one year in jail and a $1,000 fine. But a felony conviction may result in a jail sentence of as much as 3 years and a fine of up to $10,000. Burglary is a wobbler which means that a your defense attorney can negotiate a crime down from a felony to a misdemeanor. My goal is always to work towards a complete dismissal of all charges. But when that’s not possible, we will work to get you the best possible outcome whether through negotiation or trial. In contrast to second-degree burglary, burglary of the first degree must be charged as a felony. Upon conviction, a defendant may receive formal probation or a prison term of up to 6 years, as well as a maximum fine of $10,000. I have been accused of Burglary. How Can The Law Office of James Dunn Help? Anytime you are placed under arrest, your first call should be to an experienced San Mateo and Santa Clara burglary defense lawyer. You may have multiple defenses available to you. Remember, in any criminal case the prosecutor has the burden of proving your guilt beyond a reasonable doubt. If there is insufficient evidence in any element of a burglary case, a jury must acquit you. At the Law Office of James Dunn, we have the experience and the know-how to deal with all types of burglary and related offenses. In many cases we can convince a prosecutor to drop a weak case or reduce a burglary charge to a lesser offense. Sometimes cases are reduced to simple petty theft and dealt with in a way that is kept off your record after you take a class. Othertimes, we get the matter dropped to a trespass conviction. There are even times when the District Attorney will agree not to prosecute for lack of evidence. 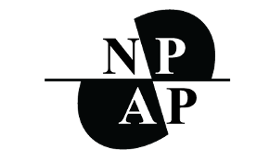 Call us today to schedule a consultation.